From the moment a woman thinks about motherhood, she must make choices for, and about, her child. She chooses to try to conceive or continue an unexpected pregnancy. She decides to leave her job to care for her baby or enroll him in daycare. Each day, there are new and agonizing choices that a mother must make, although she rarely knows what the results will be. She would have to find within herself additional love and patience, admirable traits she doubted she possessed in sufficient quantity, flawed as she was, consumed with her imagined human beings, the often grievous or heartrending situations she wrote them into and out of. She would have to willingly give all of herself, or at least most of herself. Through Joan's story, the reader sees the constant struggle to do and be everything that children need while also finding time, brain space, and emotional energy for the things that makes a mother whole. Once her son is a few years old and thriving, it seems only natural to give him a sibling. Joan's first and perhaps greatest love is her writing, but she finds herself setting it aside because her baby needs to be fed and rocked to sleep, because she doesn't have the right kind of attention to devote to her story, or because one of her sons is going through a crisis. The writing she does manage to finish is heavily influenced by motherhood and family dynamics, and we read snippets of these stories about strange babies, orphaned twins who become killers, and a group of artists who make their own family. It has been so long since anyone has viewed her through the correct lens, properly calibrated to her singular nature. The husband who says how much he loves her, completely unaware that she had written Words for nine years. The son who took her seriously as a writer, look at his actions, how that played out. Cherise Wolas has done a masterful job of portraying the fear of not knowing the consequences of decisions and the exhaustion of having to reinvent oneself again and again, as a mother as her children grow older. Joan is able to give voice to the things that mothers think but would never utter out loud, as each time she finds some equilibrium, her family and her circumstances change again. The sheer volume of this story means that readers can follow Joan through each adjustment and reinvention. The literary magic here is that 500 pages seems effortless. There is never a page where the reader sees the inner workings of a writer who has created a character; instead, it is as if they have been granted access inside Joan's head and heart. Wolas captures the emotion of parental elation and the painful knowledge that Joan is not achieving all she could, but never lets the emotions bog down the story or the prose. Instead, Joan feels the full range of emotion and she is allowed to be furious and heartbroken, determined and proud. Wolas has been rightly recognized for her work. 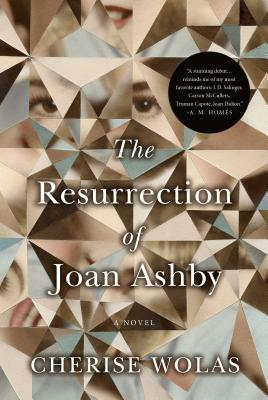 She was a semifinalist for the PEN/Robert W. Bingham Debut Fiction Prize for this novel, and it was selected as an Editors' Choice by the New York Times and a Best Novel of the Year by Kirkus Reviews. She continues to focus on the intricacies of family life with her new novel, The Family Tabor, which came out this summer. For Joan, in The Resurrection of Joan Ashby and for all mothers, there is no magic that assures us that we are making the right choices for our children and for ourselves. Our best efforts may result in disaster, while a desperate guess might result in happiness for our family. The only solace is that most of us, like Joan, get a long story. We get the chance to look back and see which choices were good, apologize for the ones that were not, and when crisis strikes, we can be resurrected into new versions of ourselves that know how to love and support our families and ourselves. Lindsey Stefan is a mother to two and a freelance editor who lives in New Jersey. She has edited projects for everyone from medical design companies to fantasy novelists. Lindsey reviews books and writes about bookish life at Literary Lindsey.